Planning a wedding must be one of the most exciting tasks I’ve ever been involved in and I jumped straight into it after Andrew and I got engaged in September. I wanted to kick off my wedding content with a little chatty video on my channel about how it’s going for us so far (it’ll be live on my channel soon – subscribe to be kept up to date) but until then I wanted to talk about where to start for all of those who have just got engaged! The first thing we did was start a spreadsheet of our guest list. Before we got into looking at venues or anything we wanted to start imagining who would share our special day with us and start counting the numbers. This helped us to narrow down a venue as we knew roughly how many people it would need to hold. We also had a lot of chats about the type of ceremony we wanted (in fact we did this before we were even engaged so we knew we were both on the same page). Andrew’s only specification was that he wanted a church wedding (which would mean a lot to him and his family) and I was very happy to oblige. Knowing that we wanted our ceremony in a church also helped us narrow down venues as we knew we wanted them to be within walking distance to save time and travel costs. I think a budget list was also one of the first things I created in my wedding spreadsheet. I’ll be completely honest and admit I haven’t really been very organised or serious about this and I haven’t budgeted for half of the things we need (and my estimations of prices are probably way off), but it’s very important to know how much you can afford, so you can start putting plans into place to save etc. One thing I will say is weddings are SO expensive, much more than I thought they’d be. Our venue alone is much more than I had originally allowed but it’s perfect so we’ll have to find ways to save money elsewhere! This is really sad, but I actually had a ‘Wedding Mood Board‘ on my Pinterest account before I even met Andrew – in my defense it was a private board though! I think every girl has a dream and a vision of what their dream day would look like so every time I saw an image I loved on Pinterest I’d pin it just in case! Once we got engaged I made the board public and also created a few extra boards for each category – one for dresses/themes/food and favours/flowers/photography styles etc! These have become so helpful when trying to plan and find inspiration so I really recommend making your own boards to help you nail down the type of style & theme of your wedding. You can see my Wedding Pinterest Boards here! I think that’s it for now – there is so, so much I want to talk about but I will save those for future blog and video content. I think next on the blog I might show you some venue inspiration I adored whilst on the hunt for our location! Let me know if you’d like more wedding content on the blog! Previous Post My 5 Favourite YouTube Videos of 2015! Next Post WEDDING: My Favourite London Venues! I've never actually been to a wedding before! No one I've known has gotten married! I'd love to see more wedding content as I do love hearing about weddings and I can feel more involved as you go through the planning process. 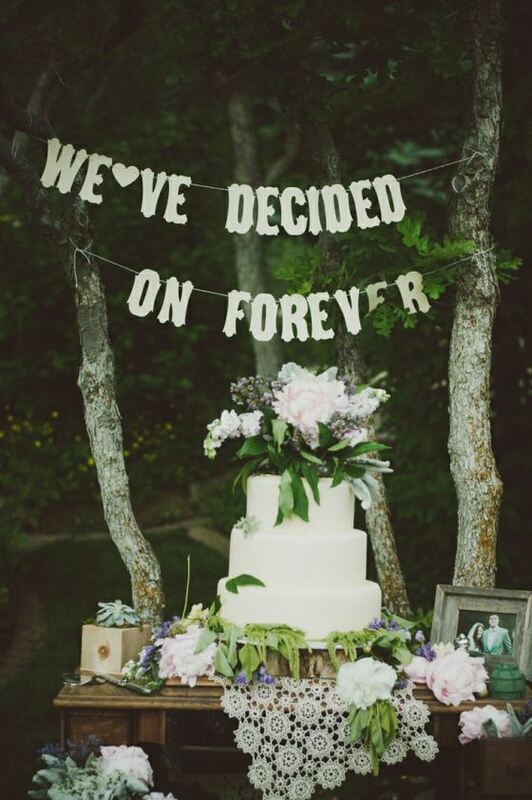 You have some very beautiful wedding ideas on your Pinterest! May I inquire about your engagement ring? It is gorgeous, unique, and seems to really fit your style! Did you have any input or drop any hints? How did your fiance choose such a perfect ring? Also, is the center stone a diamond or an alternative gemstone? Forgive my prying, but I am always fascinated when I see a truely unique ring! Many rings are very cookie cutter and don't really have much individuality! Loved this! I'm recently engaged and just about to get stuck in to the planning so I need all the help and tips I can get! Oh congratulations! Tip #1 : Do NOT go it alone, my aunt had her wedding recently and she was stressed out of her mind! One of the first things I did when I got engaged was get inspiration from Pinterest 🙂 Have fun with the planning! Nice post. Here you can find everyting about hair care. Great advice! Two of my friends are getting married soon and im so excited for them! I have to agree with Emily, my partner and I got engaged last April and we are getting married this May. Our whole day is costing no more than £4000 (which still feels like an obscene amount to me), but that is everything – the venue, the church, the food, the entertainment, the decs…. and we have 80 guests in the day and another 60 in the evening! I personally think you should plan your day around who you want with you. We have chosen to get married in our village church and the reception is at our local village hall – which means everyone can get there easily and there won't be lots of travelling on the day! Thank's for you nice photos, you've done it perfect! :)"